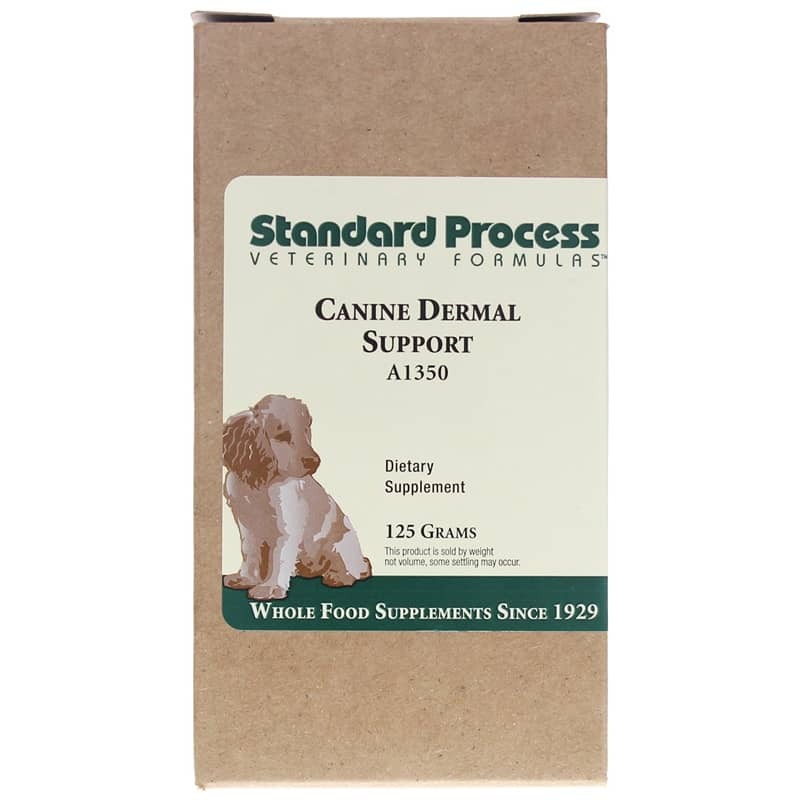 Canine Dermal Support from Standard Process contains whole food ingredients to help support and maintain the skins ability to withstand the effects of environmental exposure to toxins, antigens, and microorganisms by maintaining proper liver, adrenal, immune, and intestinal function. Based on body weight, the canine patient should receive the canine formula powder according to the following recommendations, or as directed. 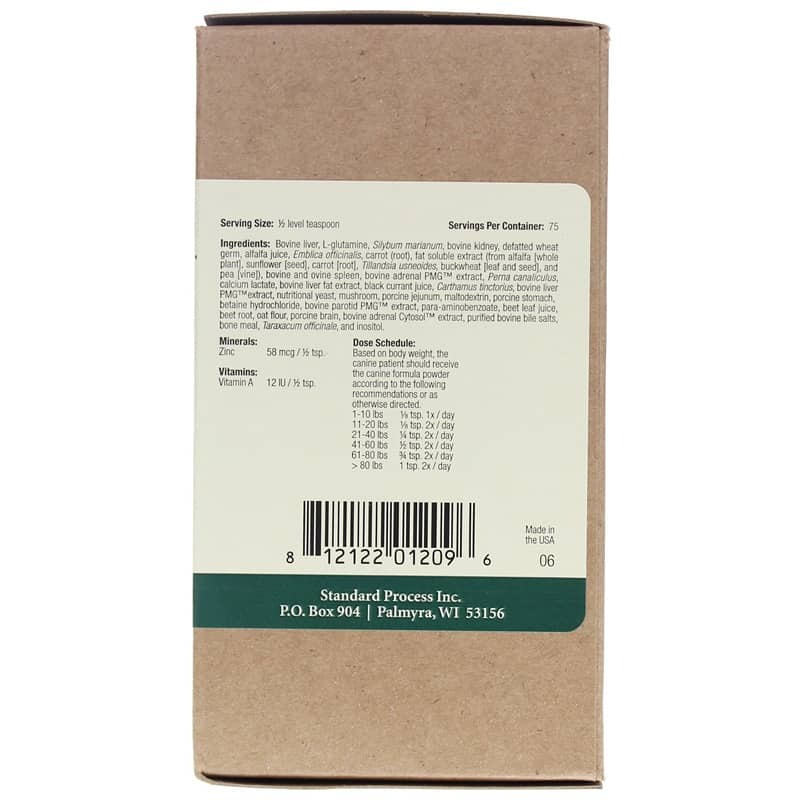 The Standard Process canine formulas are available in a highly-palatable powder. The powder can be sprinkled on the dogs food, mixed with the food, or taken separately.